This article is part of our special report Life-course immunisation. The European Commission’s proposed recommendation on strengthened cooperation of all stakeholders against vaccine-preventable diseases should not remain a “piece of paper” as it needs to bring tangible results for all age groups, Commission officials told EURACTIV.com. The recommendation, which comes at a time when anti-vaccination campaigns are on the rise across Europe, should soon be adopted by the EU Council, meaning ministers from all member states. “What we have is a piece of soft law, which is a Council recommendation and contains a wholes series of points on which ministers will agree soon,” said John Ryan, director of public health in Commission’s DG SANTE. The recommendation is due to be adopted soon by the EU Council. After that, the EU executive will come up with an implementation roadmap. The proposal’s main objective is to increase vaccination coverage and ensure access in immunization through a holistic approach. “We don’t want this to remain a piece of paper. We want to find a way to bring life to the document. We have developed our roadmap, which is an implementation plan containing specific tasks that need to be delivered by specific people,” he added. Referring to the roadmap, Ryan said all would have a role to play, from the European Medicines’ Agency to the European Center for Disease Prevention Control, from different parts of the Commission to the pharmaceutical industry. However, Ryan warned that there is an issue with supply and security of supply. “If you don’t have the supply, how can you convince people to take up a vaccine if this is not available? We need to ensure investment in vaccination, by member states and the industry and the business model is important there as well,” he said. According to the proposal, a number of factors ranging from demography to climate change require vaccination programmes with a life-course approach beyond childhood years. “Vaccination is not just for children and it’s important to have this long-life approach,” DG SANTE’s Deputy Director-General Martin Seychell told EURACTIV. 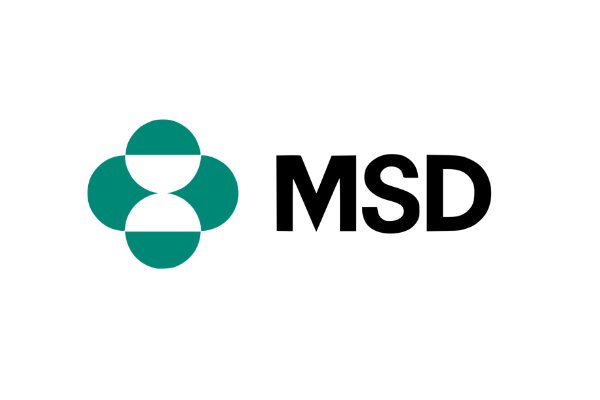 “Some vaccines, like the one against seasonal flu, are more relevant for the elderly and people with respiratory problems, while several measles fatalities happened in young adults,” he said. “Unfortunately, a lot of national systems are more efficient in dealing with children and not so efficient in dealing with people beyond a certain age,” he added, stressing that member states need to change this situation and promote vaccination as one of the most effective public health tools available. The rise of anti-vaccination campaigns has raised eyebrows in Brussels and the member states, which are trying to find a way to tackle fake news in this field. 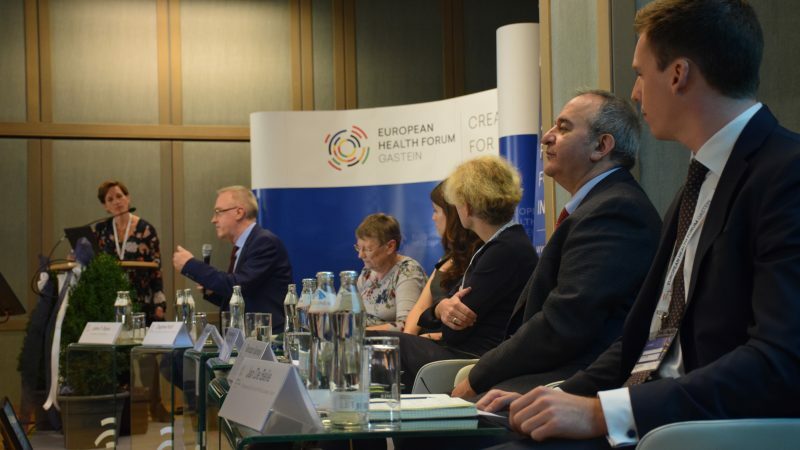 Speaking on the sidelines of the “Vaccines for all – Leaving no one behind – A life-course approach to vaccination” event in Gastein’s Health Forum last week, researcher Emilie Karafillakis admitted there are a lot of anti-vaccine messages on social media. “We know there is something going on there. I think we need to, as public authorities, as communicators and immunisation managers, get on there as well,” she noted. Karafillakis cited some recent initiatives in Ireland and in Denmark, where Facebook pages were created to reply to questions from the public in specific times about vaccines. Jan De Belie from the Pharmaceutical Group of the EU, the European association representing community pharmacists, emphasised the need for a bottom-up approach with an enhanced role for the local communities. “There is a need for consistent and evidence-based information for all healthcare providers that are in touch with patients. “We need to engage with them and make sure that every time they access the health care system they can have this evidence-based approach. The crucial point is the local level, as this is the level that healthcare providers understand. It’s engaging within their local community together with all healthcare providers,” he stated. “We always talk about convincing patients to vaccinate, but we also make health professionals realise the importance. First to vaccinate themselves and then help their community,” De Belie concluded. The Coalition for Life-Course Immunisation recently sent a letter to the European Commission asking for a “clear mandate” at the regional and local level for action. 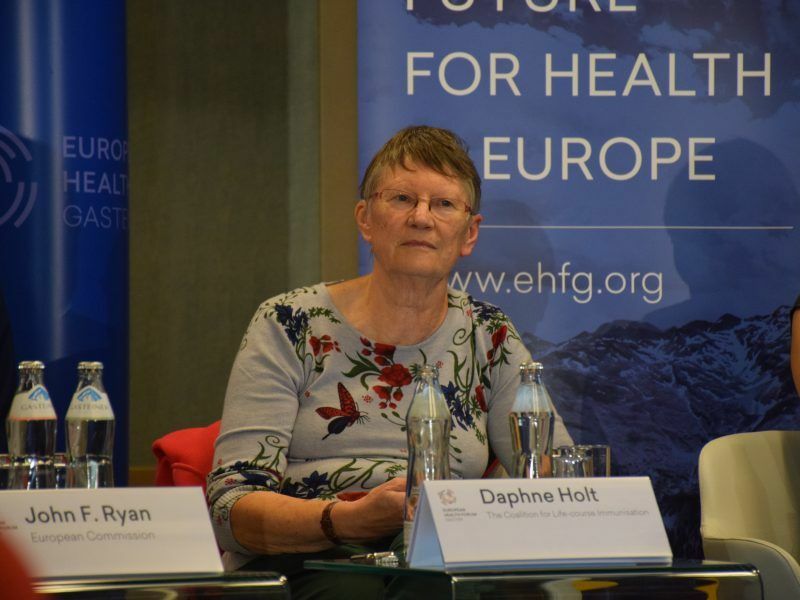 In an interview with EURACTIV, Dr Daphné Holt, the chair of the coalition, said a life-course immunisation approach would prolong and enhance the quality of life but in order for this to happen, public awareness campaigns are needed as well as health professionals to be provided with tools and skills for communication and advocacy. The adoption of a life-course immunisation approach in the EU will have significant multi-level effects, ranging from a healthier population to savings in healthcare budgets, Professor Daphné Holt told EURACTIV.com.